Stacey Waaka at the Kiwi Can programme at Mount Maunganui Intermediate. 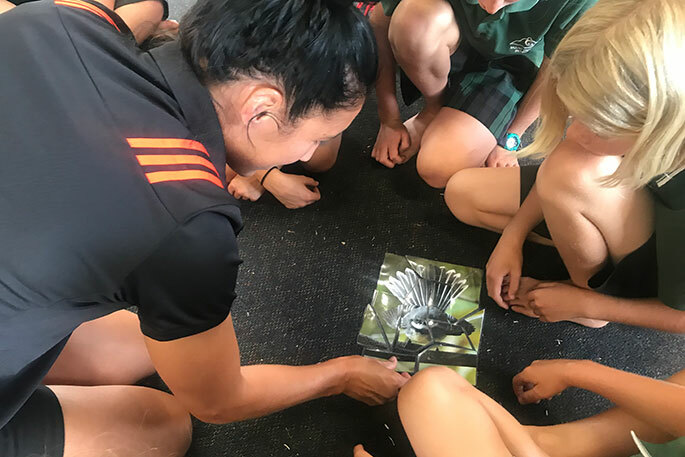 Black Ferns players Toka Natua, Sarah Hirini and Stacey Waaka have been participating recently in the Kiwi Can programme at Mount Maunganui Intermediate, delighting students there. 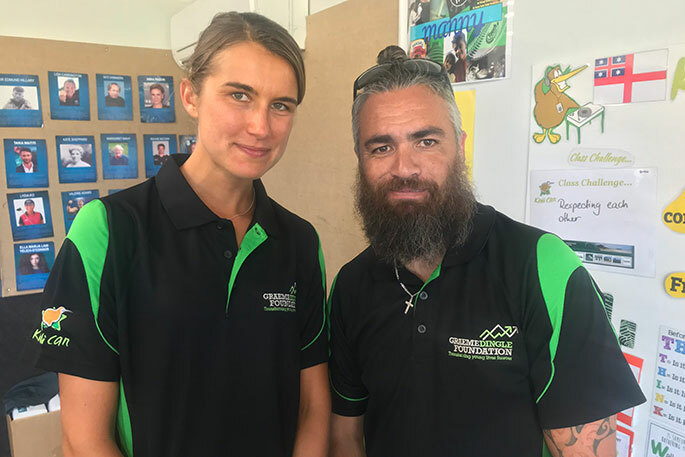 Led by Lena Pfitzner and Manny Werahiko, the school, which has 713 students on the roll, has the Kiwi Can programme running four days a week across the classes. Kiwi Can is a life skills and values programme run by the Graeme Dingle Foundation, an established charity engaged in positive child and youth development, which works with 27,000 five to 18 year olds throughout New Zealand. 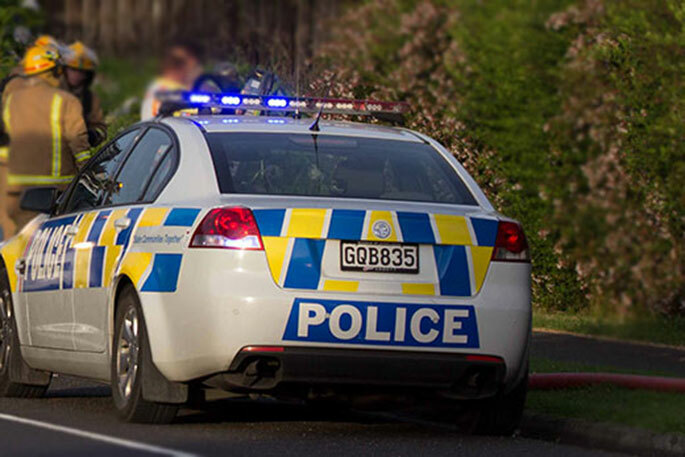 The Graeme Dingle Foundation is New Zealand Rugby’s official charity partner. “We’ve got 11 schools in the Western Bay of Plenty with 3050 Kiwi Can kids that Kiwi Can every week of the school year,” says Graeme Dingle Foundation Bay of Plenty Regional Manager Dan Allen-Gordon. The Kiwi Can programme started with the class chanting their Kiwi Can statement. Black Ferns Toka Natua, Sarah Hirini and Stacey Waaka. 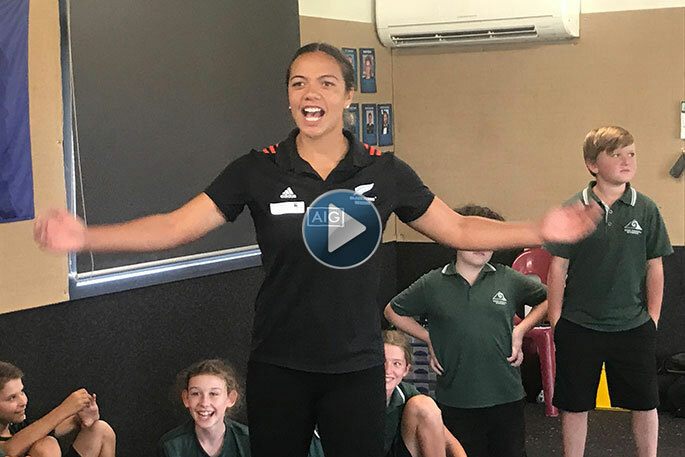 Rugby star Sarah Hirini and her team mates have been helping out with Kiwi Can at Mount Intermediate for the last two weeks. Stacey Waaka shared some of her own story with the students. 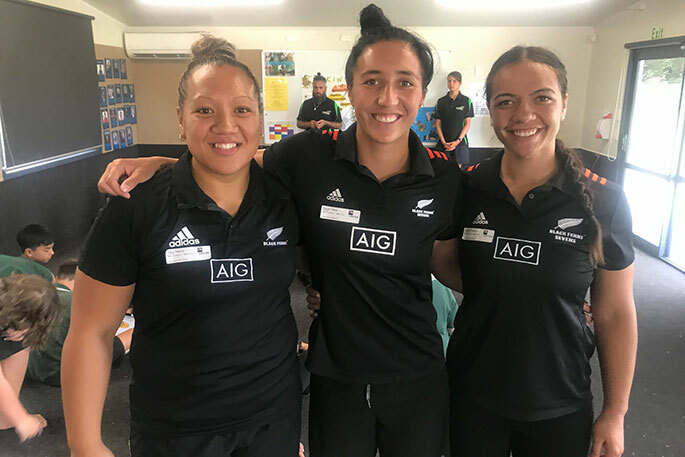 The three Black Ferns brought medals and jerseys for the students to look at from their Commonwealth Games win, and the World Cup and world series, and were still feeling elated about the Black Ferns Sevens winning the Halberg award for Team of the Year. The Kiwi Can programme is making waves and empowering children in 100 schools around Aotearoa. Kiwi Can is an all-inclusive, 12-month programme that involves every child within a school. There are two parts to Kiwi Can: weekly class lessons and an annual community project – both are aimed at having an impact, and making a difference to each individual. 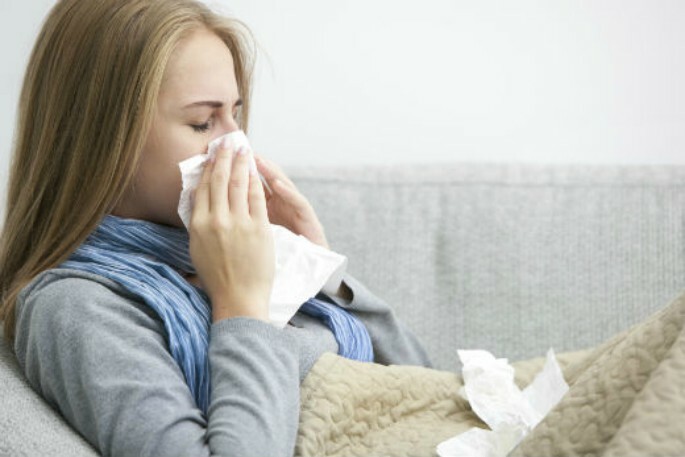 Class lessons last approximately 40 minutes, and the programme includes four themes, with 24 modules. Mount Maunganui Intermediate Kiwi Can leaders Lena Pfitzner and Manny Werahiko. 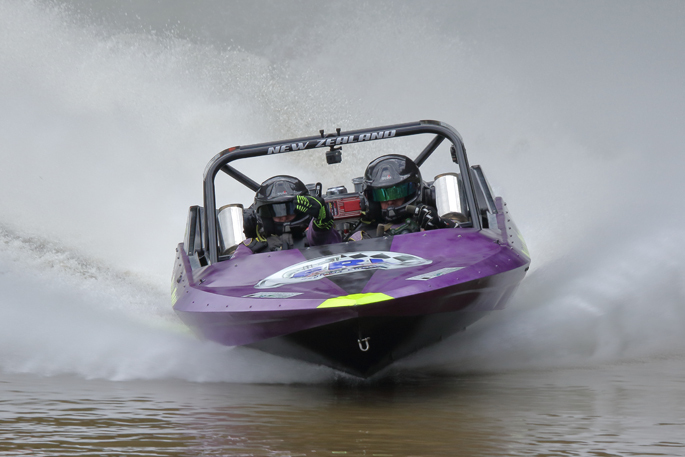 Kiwi Can is the first step of a journey that takes young people through Graeme Dingle Foundation programmes at different stages in their schooling. It sets a foundation of values and life skills that the students take with them through school and into later life. Each student visits a Kiwi Can class once a week to enjoy a positive, uplifting environment that encourages self-belief and confidence. “Kiwi Can is a values-based programme,” says Mount Maunganui Intermediate principal Lisa Morresey. “What we like about it is it’s taught by young people. We’re putting positive role models in front of kids. It’s quite a break from the usual day because it’s a really hands-on dynamic activity-based programme. “What it does is it links into the types of values we’re trying to teach across the curriculum. Kiwi Can brings a lot of fun and energy. The kids have a lot of challenges. They have challenges for the teachers. They play games, they work towards winning a champion class award at the end of the year. “It brings a positive spirit coupled with those really good messages. Teaching things like resilience, and interaction. They set goals for their classroom behaviour. They then go an enact them and they’re awarded for achieving goals they’ve set. The sessions also provides an opportunity for the teachers to observe the student interaction while they’re doing collaborative tasks. Lisa likes the strong alignment between the Kiwi Can programme and the school’s objectives. “Our Deputy Principal Beryl Harvey meets with Kiwi Can once a week where they talk about the learning concepts and the student needs,” says Lisa. “The Kiwi Can leaders plan their programme collectively and then come back and deliver them, always in consultation with us. They embed our core values into their programme. Sarah Hirini helping a group solve a puzzle. The Kiwi Can leaders are at Mount Intermediate four days per week. The three themes being focused on for each of the remaining school terms for 2019 will be integrity, resilience, and respect.